Kogi State Governor, Alh. Yahaya Bello has assured Igbos in the state of the readiness of his administration to continue to protect their interests, saying Nigeria will continue to be a united entity. Speaking in Lokoja through his Director General on Media and Publicity, Kingsley Fanwo on the backdrop of events in Kaduna where some people are threatening the Igbo community, the Governor said he supports the stance of the Kaduna State Governor to protect the Igbos in the state. “As a nation, our strength has always been embedded in our unity in diversity. Nigeria is home to all and we must continue to see ourselves as brothers and sisters in a united nation. Ethnic segregation is unacceptable to humanity and we must continue to wax stronger and unbroken as a nation. The God that created Nigeria is a God who believes in the strength of unity. “The Kogi State Government under the leadership of Alh. Yahaya Bello wishes to assure all Igbos that they are not only safe in the state but that the administration will continue to consider Igbos resident in the state as partners in the New Direction Agenda of the government. Igbos should go about the legitimate businesses in the state as they continue to contribute to our economy as a state and a people. “With the appointment of Igbos into strategic positions in Kogi State, we are making a strong case for social integration in Nigeria. Let me once more salute the courage and nationalism of the Kaduna State Governor who has shown with his recent actions that Kaduna will remain the home of all nationalities”. 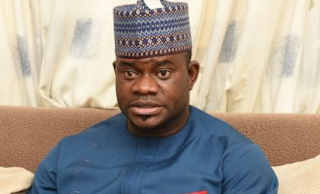 Bello tasked the Northern leaders to continue to defend the interests and safety of non-Northerners living in the North, insisting that unity is more of an action than a word. “As we strive to move out of the economic recession in Nigeria, bloodbaths would only compound the situation. We are the same before God and we should always play up the factors that unite us. We can only be strong when we are united”. Governor Bello called on Nigerians to intensify prayers for the full recovery of Mr. President, saying the health of the President is “quite reassuring and encouraging”. He said the President is sacrificing a lot for the “greatness, prosperity and unity of Nigeria”. “President Buhari has sacrificed a lot to ensure we remain a respected nation in the comity of nations. Nigerians should pray for his full recovery as he is determined to tame corruption and drive the nation toward prosperity, responsibility and respectability”.